#HistoryofFootball is a 14-day television event, with 24/7 football documentaries and films starting from Monday 28th May. Watch HISTORY on Sky 130, Virgin 270, BT 327 or TalkTalk 327 Call Us On - 0203 606 0315 DOWNLOAD THE UFF APP: IOS: https://apple.co/2FCz3zX ANDROID: http://bit.ly/UFF_Android Join us on DISCORD to have your say with other fans: https://discord.gg/ug4jrKU Send us your thoughts on video: https://www.dropbox.com/request/PgkwH... FanPark Live is the first fan-centric review show for world's biggest fans. 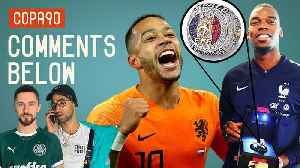 Join Terry, Robbie, Mark, Louis and the UFF influencers in getting the authentic fan opinion live after all the big games. The Emmy-Award nominted series CHALLENGER, Muay Thai is back! Season 2 of Challenger will have even more heart-pounding action which made it a fan favorite in countries around the world. 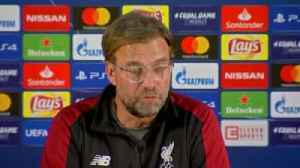 Hosted by UFC..
Jurgen Klopp played down the Porto head coach's suggestion Liverpool are the 'best team in the world' at times. The Professor and the Madman Movie Trailer HD https://teaser-trailer.com/movie/the-professor-and-the-madman/ Plot synopsis: Based on the worldwide best-selling novel by Simon Winchester, THE PROFESSOR..
With five games left in the regular season, history is the only thing the Tampa Bay Lightning have to play for. The NHL’s best team is still plenty motivated. Steven Stamkos scored twice and..